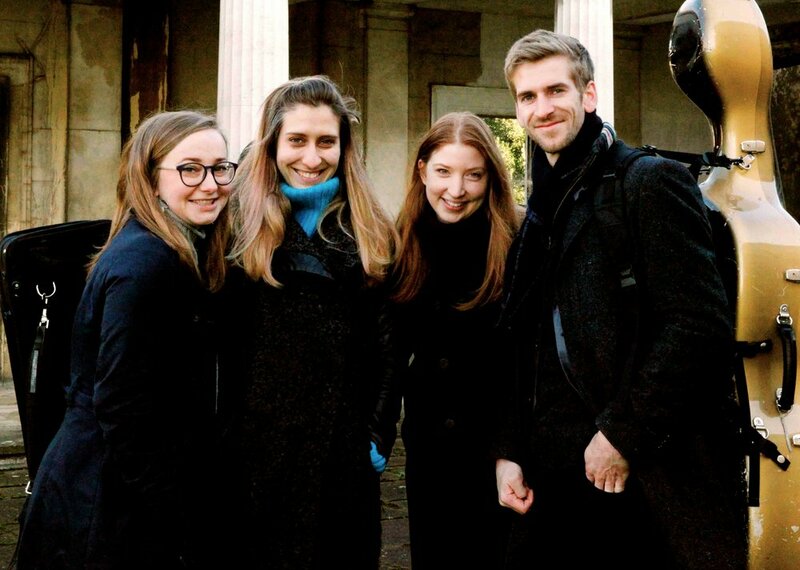 Formed at the Royal College of Music in London, the Consone Quartet is dedicated to exploring Classical and Early Romantic repertoire on period instruments. Winner of the 2016 Royal Over-Seas League Ensemble Prize in London, Consone was also awarded two prizes at the 2015 York Early Music International Young Artists Competition, including a place on the ‘EEEmerging’ Emerging European Ensembles Scheme associated with the Ambronay Festival in France and six other early music festivals across Europe. Recent highlights include an acclaimed debut at London’s Wigmore Hall, performances at Cadogan Hall, St James’s Piccadilly, the Queen’s Gallery at Buckingham Palace, and at the Cheltenham, Brighton Early Music, Lake District Summer Music, Buxton and King’s Lynn Festivals, as well as the Edinburgh Festival Fringe. The Consone Quartet is rapidly gaining international recognition performing in France, Germany, Austria, Bulgaria, Slovenia, the Czech Republic, Belgium (AMUZ in Antwerp), Italy, Switzerland and in spring 2018 they toured in South America performing across Bolivia and Peru. The Consone Quartet’s debut CD, featuring music by Haydn and Mendelssohn, was released on the Ambronay Label during the Festival in October 2018 and was followed by a London launch kindly hosted by the Royal Over-Seas League. The ensemble regularly collaborates with other musicians, such as the Fitzwilliam String Quartet, members of the Hanover Band, Mahan Esfahani, Gillian Keith, Jane Booth, Ashley Solomon, and Colin Lawson. Consone participated in the “Brighton Early Music Festival Live!” mentoring scheme and in a number of Chamber Studio masterclasses at King's Place, London. In 2018 the quartet was selected to become a Concordia Foundation Artist.